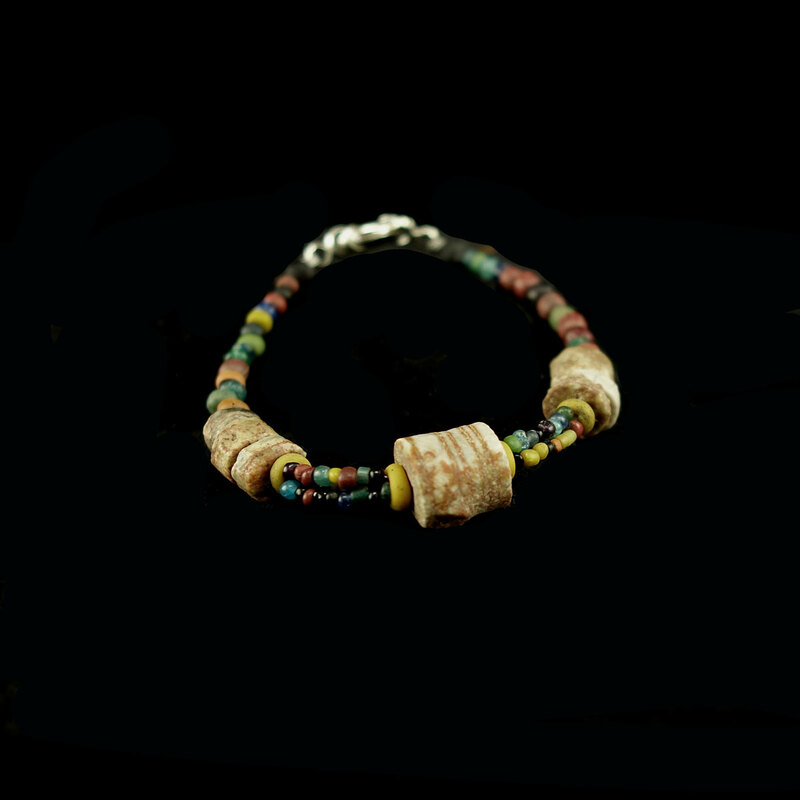 A Cambodian mixed bead bracelet comprising, iron age fossilised shell discs and coral barrel beads with antique Pyu glass beads. Strung on plastic coated wire with a sterling silver clasp. 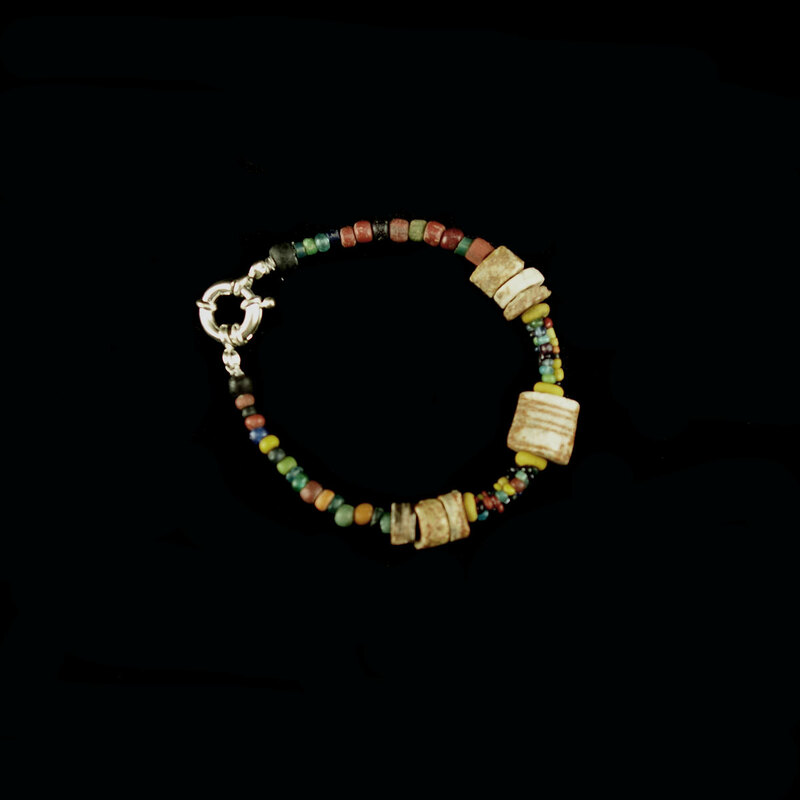 An attractive wearable example in good condition.